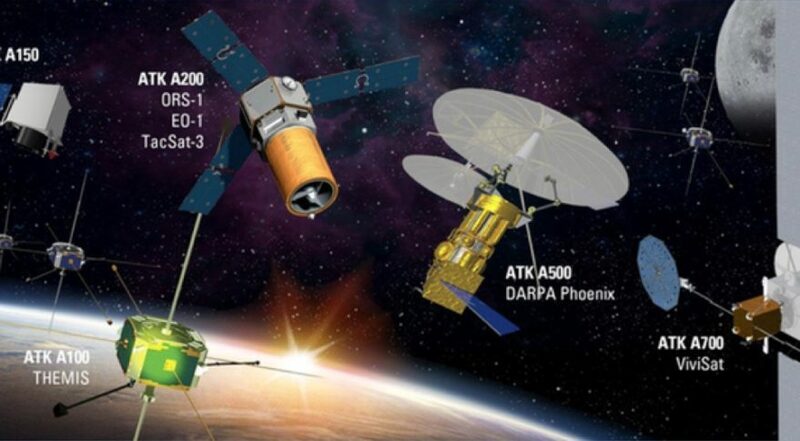 WASHINGTON — The U.S. Air Force on Sept. 29 called for bids from SpaceX and United Launch Alliance for a mid-2019 launch of an experimental blast-detection satellite and a half-dozen smaller spacecraft that will tag along for the ride. The Air Force, which is giving SpaceX and ULA until Dec. 2 to send in proposals for the firm-fixed price contract, didn’t say when it will announce the winner. A draft solicitation was released Aug. 19 for industry feedback. The just-released final solicitation follows “extensive industry engagements,” the Air Force said. “Through this solicitation for STP-3, we hope to promote healthy competition in order to foster innovation while securing Assured Access to Space through multiple reliable, affordable and efficient launch service providers,” Lt. Gen. Samuel Greaves, the Air Force’s Space and Missile Systems Center’s commander said in a statement. The Space Test Program-3 mission — STP-3 for short — comprises the STPSat-6 experimental satellite and a propulsive secondary payload adapter that will hold up to six payloads that Air Force says it will identify at least a year before the launch. STPSat-6 itself is a multipurpose experimental spacecraft. Its main payloads are the National Nuclear Security Administration’s Space and Atmospheric Burst Reporting System-3 and the NASA’s Laser Communications Relay Demonstration payload. The spacecraft is also equipped with seven smaller science and technology payloads selected by the Defense Department’s Space Test Program. The STP-3 mission is the third launch contract the U.S. Air Force has put out for bid since certifying the SpaceX Falcon 9 to compete against ULA’s Atlas 5 and Delta 4 rockets for launch awards. SpaceX won the first contract, an $82.7 million award for a 2018 launch of a GPS 3 satellite, when ULA declined to participate, saying the competition was a price shootout that didn’t adequately account for Atlas 5’s superior reliability. ULA did, however, submit a bid for a 2019 launch of another GPS 3 satellite. Bids for that mission were due Sept. 19.